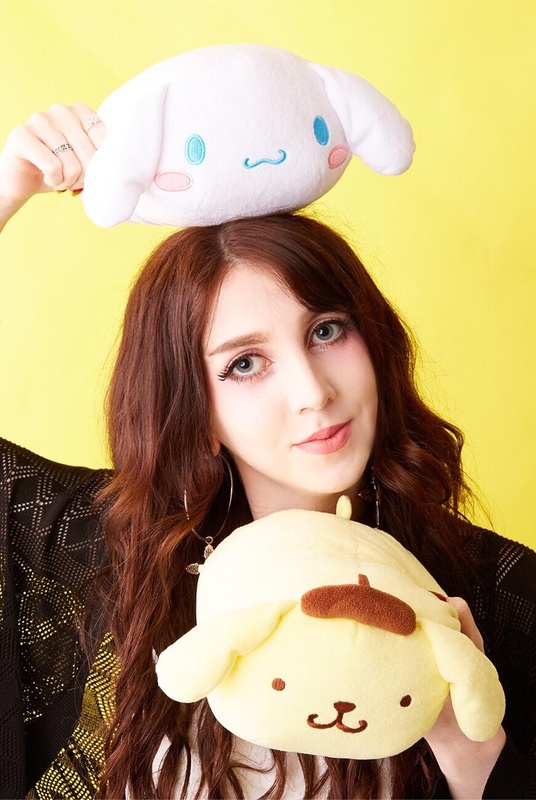 We're always testing out new and unique beauty products to put into your Nomakenolife Japanese and Korean beauty box and today is no different! 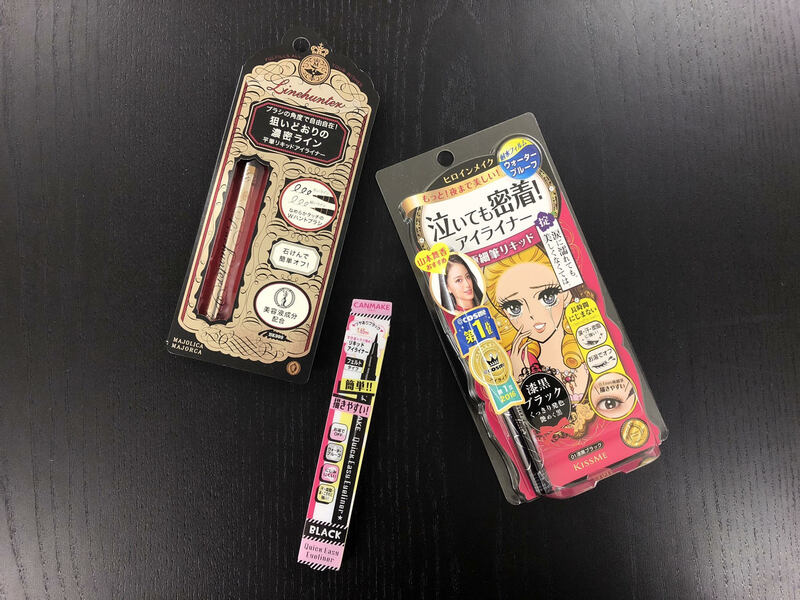 As you may know, Japan is world renown for its beauty products and especially its eyeliner. But when there's so many available on the market how do you know which one is best to choose? Not to worry! 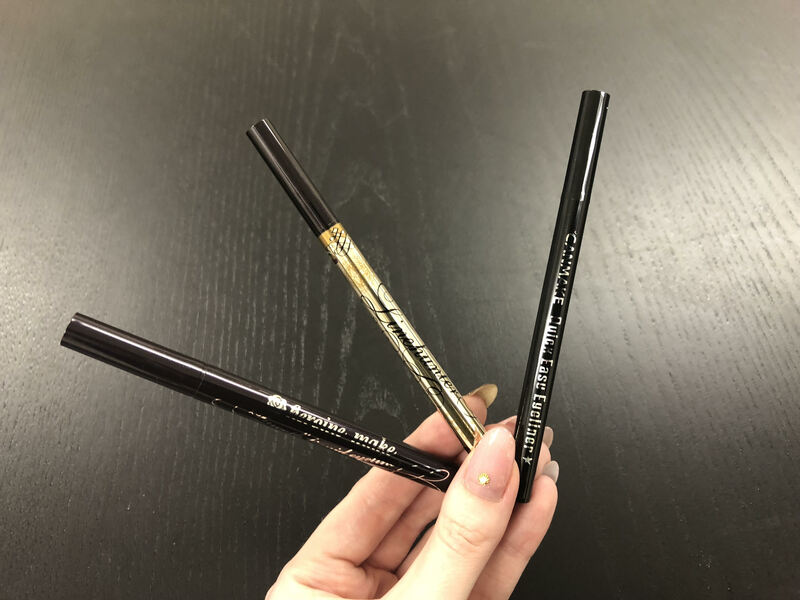 Here at Nomakenolife we've tested out 3 of the top eyeliners available at drugstores here in Japan so you don't have to! The 3 we have are by brands Heroine Make, Majolica Majorca and Canmake! All very well known and loved Japanese brands. 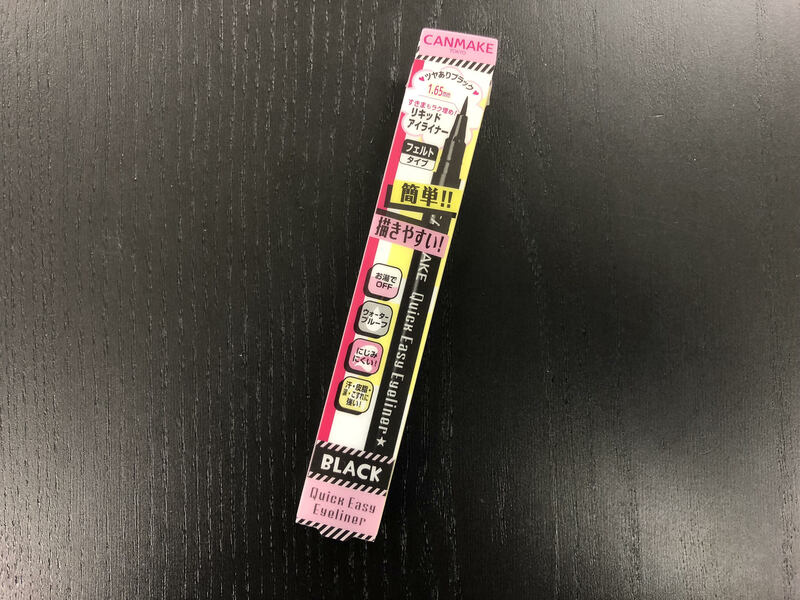 Let's start with the cheapest of the three, Canmake's Quick Easy Eyeliner in black which comes in at 540 Japanese yen (around $5). 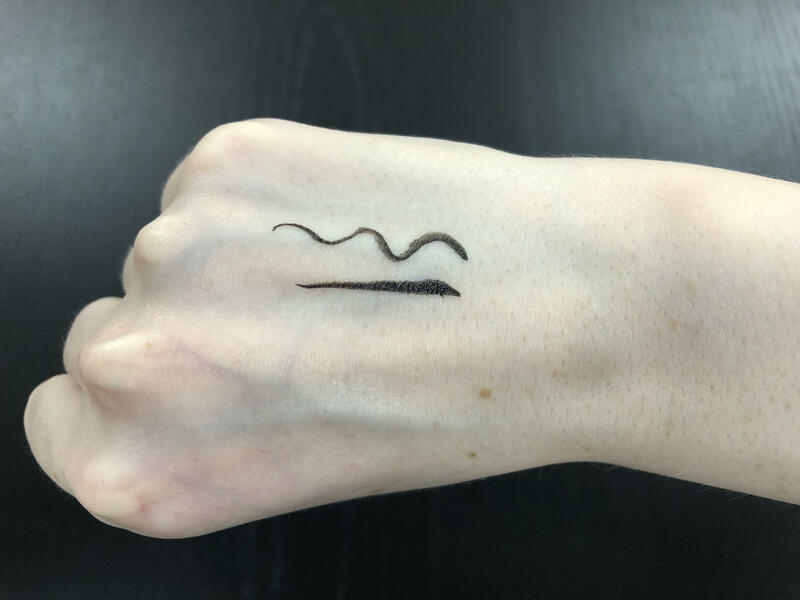 The packaging claims it's easy to use, waterproof but washes off with hot water, smudge proof and is resistant to sweat, oil and tears. So let's see how it stands up to its claims! 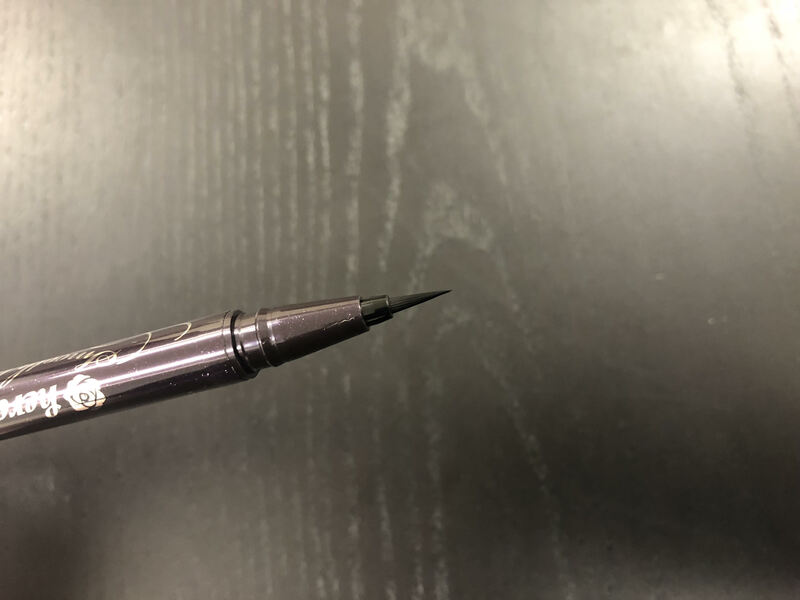 The tip is a felt tip type, with a thickness of 1.65mm so it should be able to draw both thin and thick lines nicely! And here it is tested out, it's definitely easy to use and good at drawing nice thin lines for that cat eye look. For the bottom line I had to go over it twice to get the pigmentation that dark, but it's not too bad with just once swipe. Next is Majolica Majorca's Linehunter in BK999 which comes in at 1080 Japanese yen (around $10). 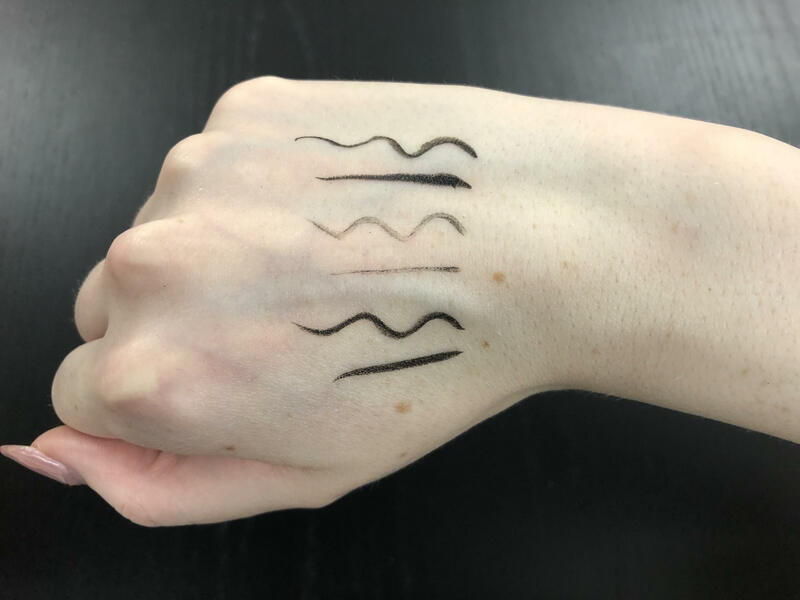 The packaging claims that you can draw both superfine and thick lines, it allows you to draw smooth and thick and pigmented lines even down to your lashline, it's resistent to sweat, oil and tears, and it wont smudge even hours later. It also says that it washes off easily with soap and that it contains treatment for your eye area in the ingredients. That's a lot of claims! 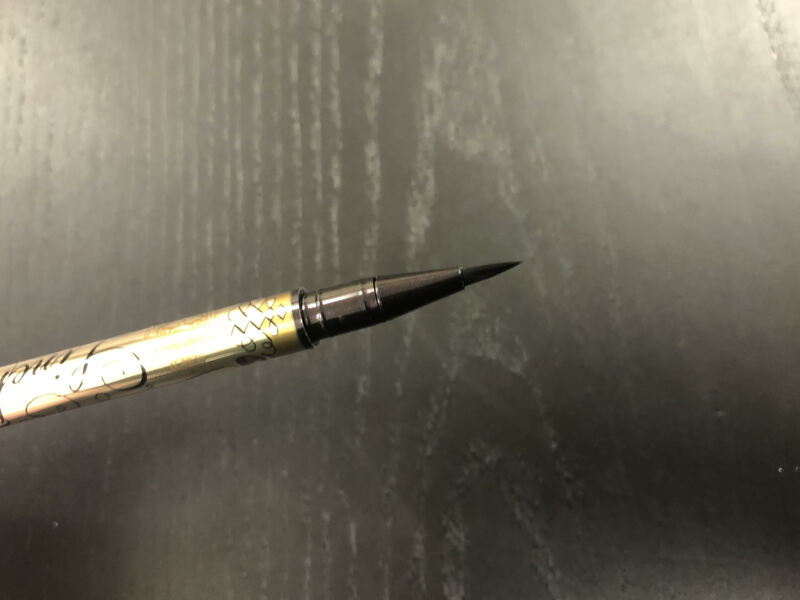 The tip is a brush type and noticeably thinner than the Canmake tip. When testing it out we were really disappointed! 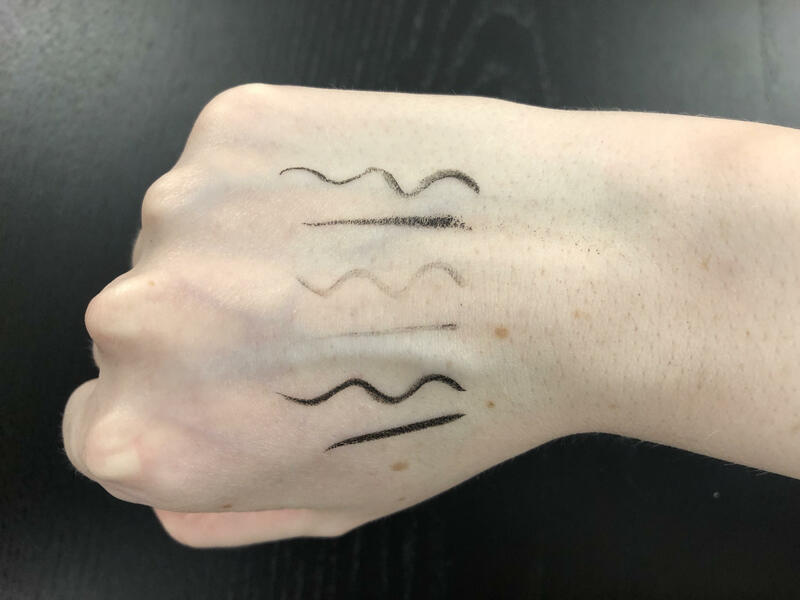 Despite being brand new out of the packaging the tip seemed really dry and the product coming out not pigmented at all... After letting it rest on its side overnight the product started coming out a little better, but still not as pigmented as the others and still slightly dry. 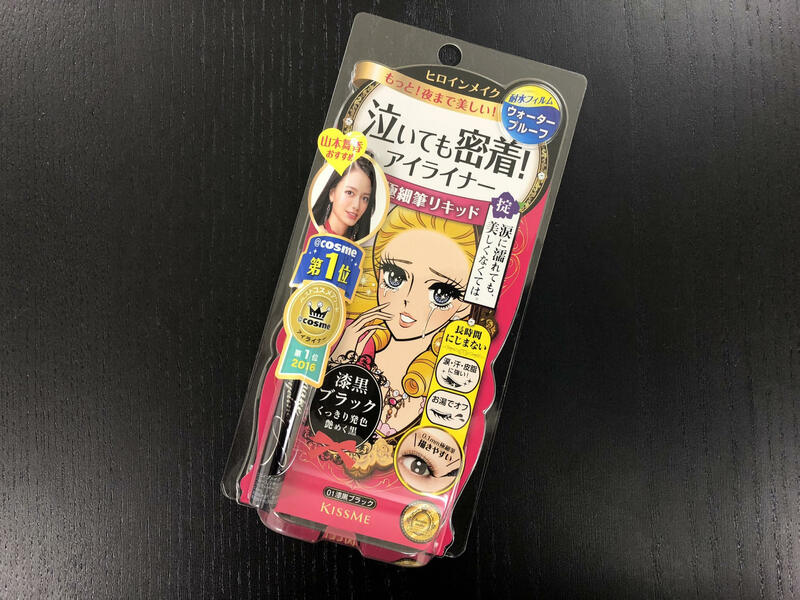 Last but not least Heroine Make's Liquid Eyeliner in jet black which also comes in at 1080 Japanese yen ($10). The packaging states that it won Cosme's best cosmetic award of 2016. 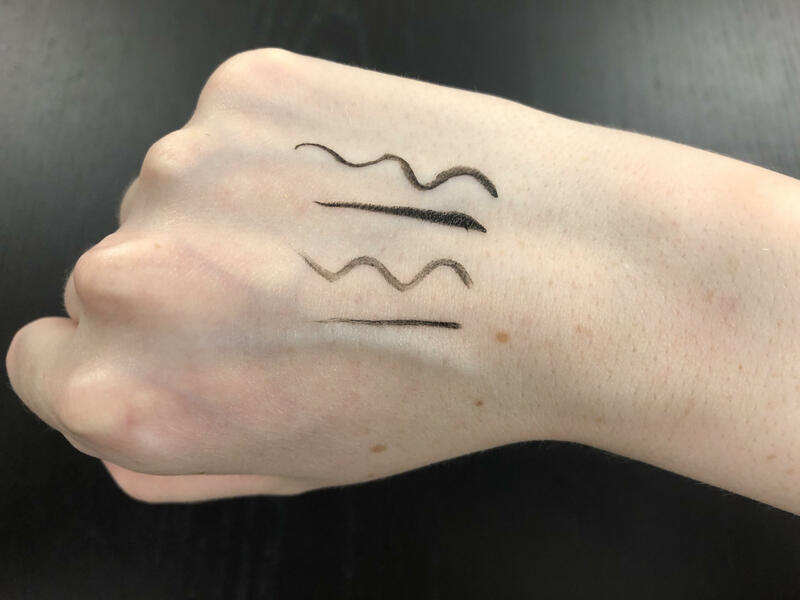 It claims it's waterproof and doesn't smudge, is resistant to sweat, oil and tears and the line will remain crisp all day. It's easy to draw thin and precise lines even around the eyelashes and under eye. It washes off with hot water or soap. Contains no dyes so wont stain your skin. And finally it contains ingredients like collagen and rose extract to help your skin. Again, a lot of claims! Like Majolica Majorca's its a brush type, but this time even thinner coming in at 0.1mm! 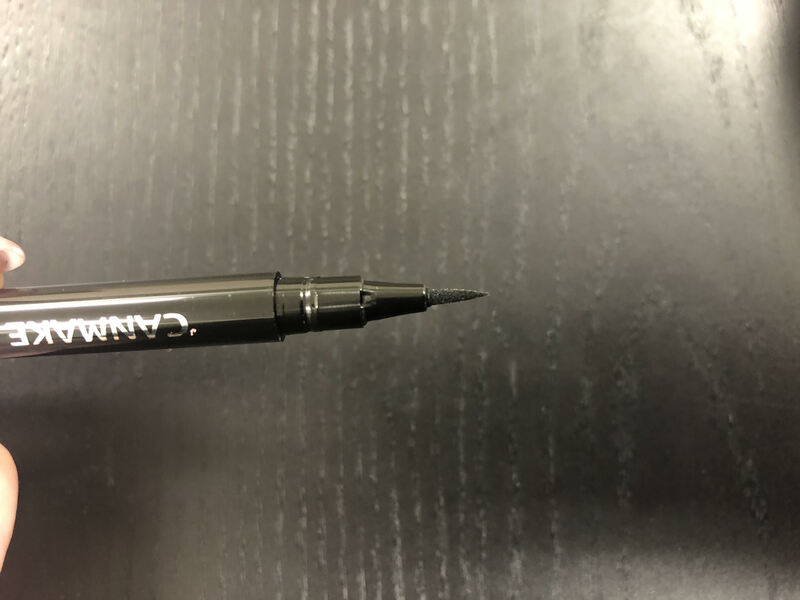 The product comes out super pigmented with just one swipe and its easy to draw nice and precise lines. Again, perfect for cat eyes! Here comes the smudge test. As you can see Majolica Majorca's liner didn't fare well at all, almost being wiped off completely. However both the Canmake and Heroine Make liners didn't budge at all! Now the water test! Majolica Majorca's liner has pretty much been completely destroyed at this point... Not good. And Canmake's didn't fare too well either. The clear winner here is Heroine Make, it didn't budge one bit!! Coming out at a clear number one is Heroine Make. 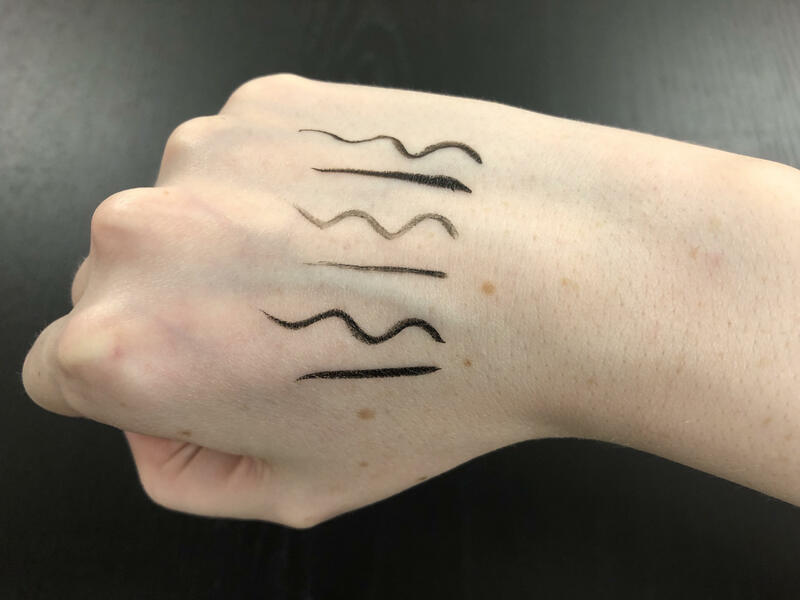 It's easy to use, pigmented and really doesn't budge! Though it doesn't wash off easily with just water (I had to use soap/cleanser to get it off!) as it claims, that's not at all a problem. The price tag of 1080 yen is also really reasonable considering how good the product is! Next is Canmake coming in at second. Despite not lasting the water test very well, it didn't smudge and is easy to use. Could do with a little more pigmentation but for only 540 yen we can't complain! Finally in last place is Majolica Majorca. 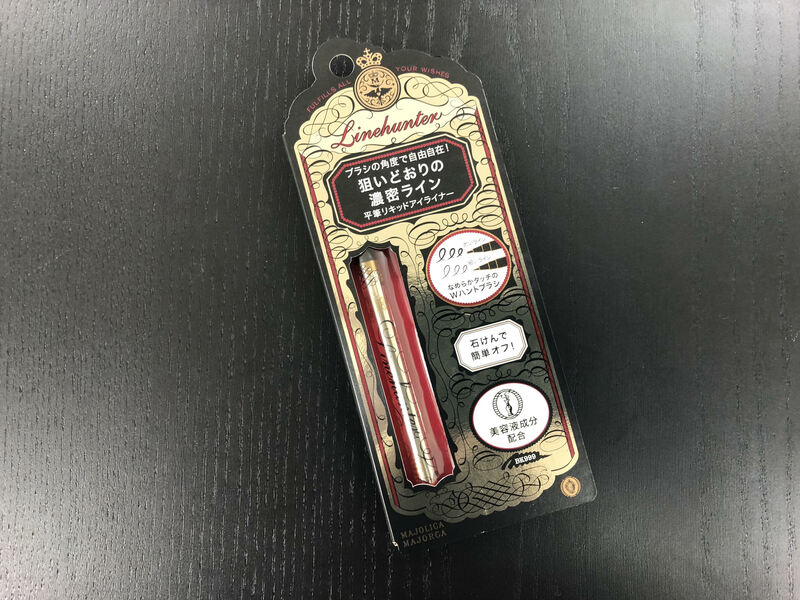 It performed poorly in all areas... We were surprised with this one as Majolica Majorca is known for being good quality, and with a price tag of 1080 yen we were expecting it to perform well. Oh well, maybe we just got the bad eyeliner out of the batch? 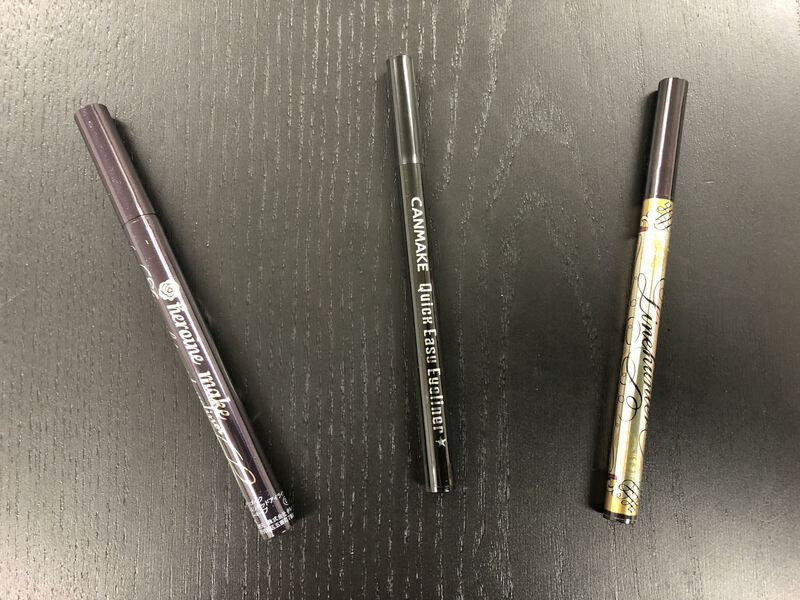 What did you think of these eyeliners? Would you like to try them? What beauty products would you like to see us review next? Let us know in the comments!